The Kebbi state chapter of Miyetti Allah Cattle Breeders Association of Nigeria (MACBAN) has urged security agencies in the country to retrieve illegally acquired weapons from unauthorised persons. Alhaji Muhammad Ardo-Zuru, the state chairman of the association disclosed this while addressing newsmen in Birnin Kebbi. “Sustainable peace will continue to elude us if such weapons, including guns and ammunition are left in the hands of criminals. “For peace to endure in the country, authorities will have to ensure deliberate steps are taken to mop up all guns and ammunition in criminal hands. “This should be in addition to prosecuting all those found wanting in the killing of innocent people, no matter how highly placed they are,” he said. Ardo-Zuru, expressed the desire of the Miyyeti Allah to cooperate with government and security agencies to maintain peace. “We are not in support of the call that communities should take laws into their hands, in the name of defending themselves. “Those behind recent killings are only out to provoke other sections so they can destabilise the country,” he said. ”Our members have been killed across the country, but as leaders, we cannot allow them to avenge. “We realised that those who attacked Fulani people in Taraba, Benue and Kaduna states carried out those attacks purposely to destabilise the country,” he said. Ardo-Zuru, however, added that the association would collaborate with the Nigeria Bar Association (NBA), the Attorney-General of the Federation and Commissioners for Justice in various states to hasten the release of all innocent Fulani people languishing in prisons. 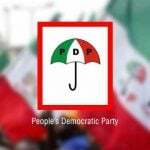 The Peoples Democratic Party (PDP) says the Presidency’s jittery reaction to the media interview granted by a top official of the Independent National Electoral Commission (INEC), confirming the existence of a central election results transmission server in the commission, further exposes its nerviness, as the guilty is always afraid. The Minister of Finance, Mrs. Zainab Ahmed, has stated that while the federal government borrows to deliver on its promises, it was also mindful of rising debt burden, which eats up about 25 per cent of the country’s annual earnings. 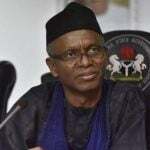 Governor Nasir Ahmad El-Rufai has charged Christians in Kaduna state to come together to build and uphold safe communities, where everyone is committed to upholding peace and harmony. An Islamic scholar, Imam Abdulganiy Abdurraheem Azzubaidi, has warned against the politicisation of security agencies in order to guarantee adequate safety of lives and properties of all citizens in the country. 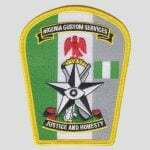 The Nigeria Customs Service (NCS) says complains of applicants arising from recruitment portal has been resolved. Nigeria’s Super Falcons forward Asisat Oshoala reacted after scoring twice for Barcelona Ladies 6-2 win against Sevilla at the LigaIberdola clash on Wednesday.